A recent study of 3-5 year olds found that the average pre-reading American child could identify hundreds of marketing brand logos (McDonald’s, Disney, even Toyota). Most researchers would be mightily challenged to find even a middle school student who can identify more than a couple of trees growing in their own backyard. 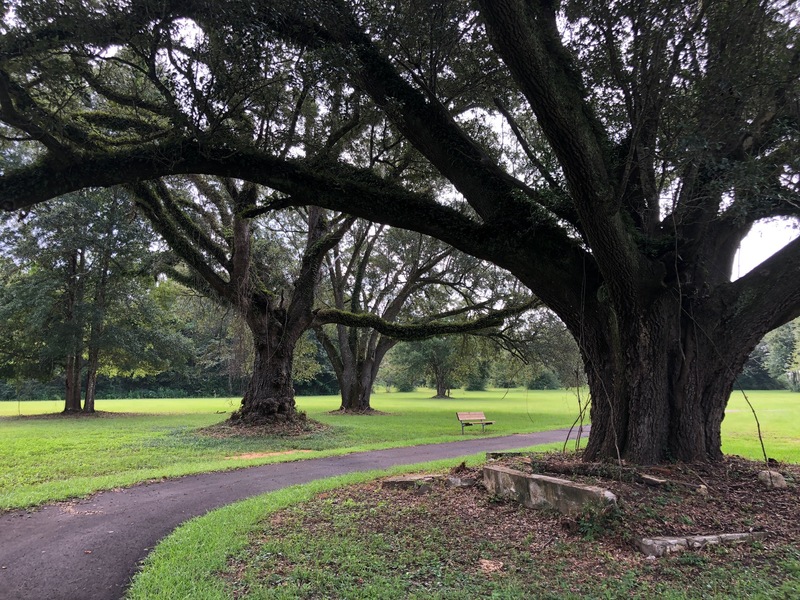 The fields and forests many of us grew up in are steadily converting to look-alike suburban areas, so this lack of local natural knowledge is commonplace. As the quote by Senegalese forester Baba Dioum goes, “In the end, we will conserve only what we love; we will love only what we understand and we will understand only what we are taught.” If kids and adults do not appreciate and understand the natural world around them, we are unlikely to preserve these priceless wonders. To do our part towards this aim of educating others, we at Escambia Extension received a grant from International Paper to plant 30 trees around our office’s walking track. Every tree has a clearly marked identification tag listing its common and botanical name. Initially we just planned to add more shade trees to the sunny side of the track, but after a discussion with local foresters, we realized this effort could be an ideal teaching tool. 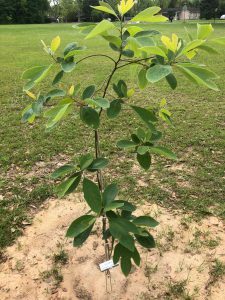 The local middle and high school Future Farmers of America (FFA) chapters participate in a tree identification contest, and are tasked with knowing 50 native tree species. While 10 of them were tropical species that do not perform well in north Florida, we have the other 40 planted here on the property. Students and any interested citizen interested in learning these native species can walk along our track, getting exercise and taking in the natural world around them. 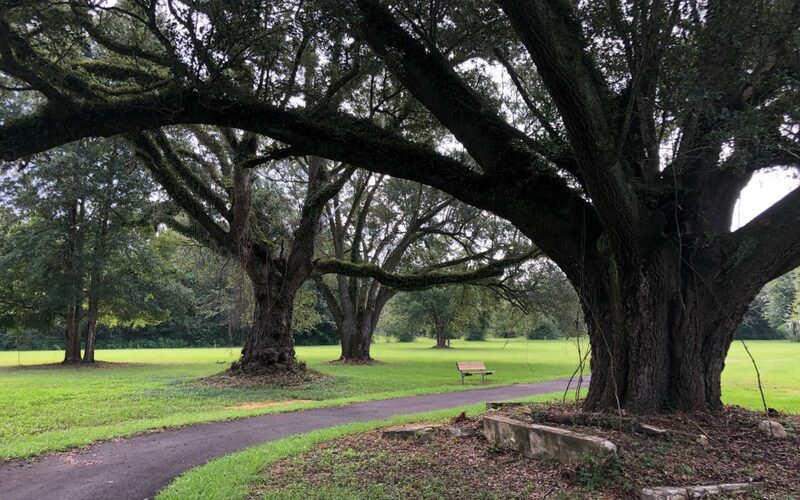 A spring walking event will kick off the official opening of the tree identification trail, so join us April 26 to learn more about healthy living and the value of trees. Or, join us for an Extension Open House on April 27 to explore the demonstration gardens, purchase vegetable plants, or learn more about Extension’s wide array of community services. 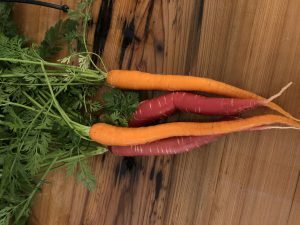 Carrots – The Panhandle’s Easiest Garden Vegetable? 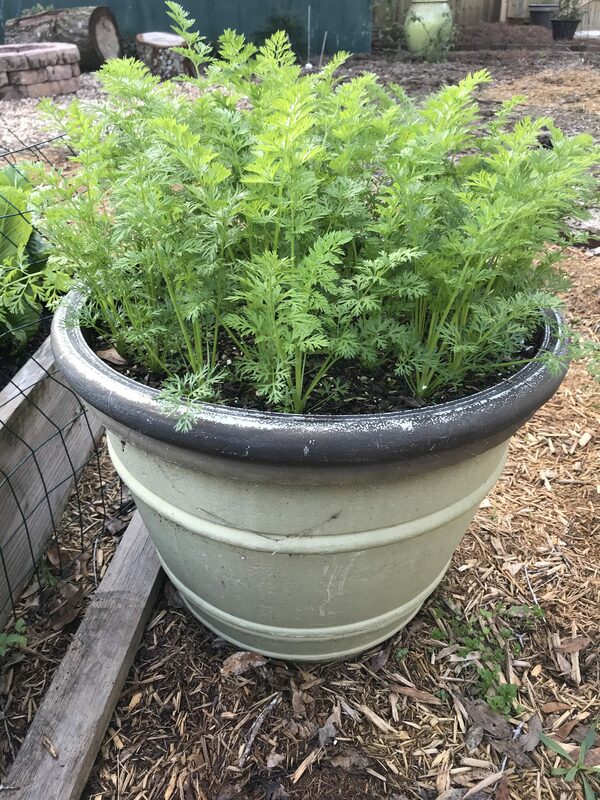 Carrots growing in a large container. After tending a home vegetable garden for any length of time in the Panhandle, you begin to learn some things. Tomatoes are awfully hard to grow. Raised beds drastically lower the difficulty of gardening in general. You should never plant mint in a permanent veggie garden. Swiss Chard has to be started early because it grows as molasses creeps. 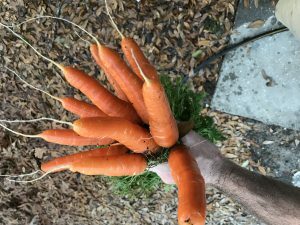 Of all of these anecdotal maxims I’ve discovered, the one with the most flavor return on my gardening investment is that carrots should always be a part of your cool season garden. A fresh carrot out of the garden is hard to beat. The difference between a grocery store carrot and one fresh out of your own garden is astonishing and will change your culinary life. 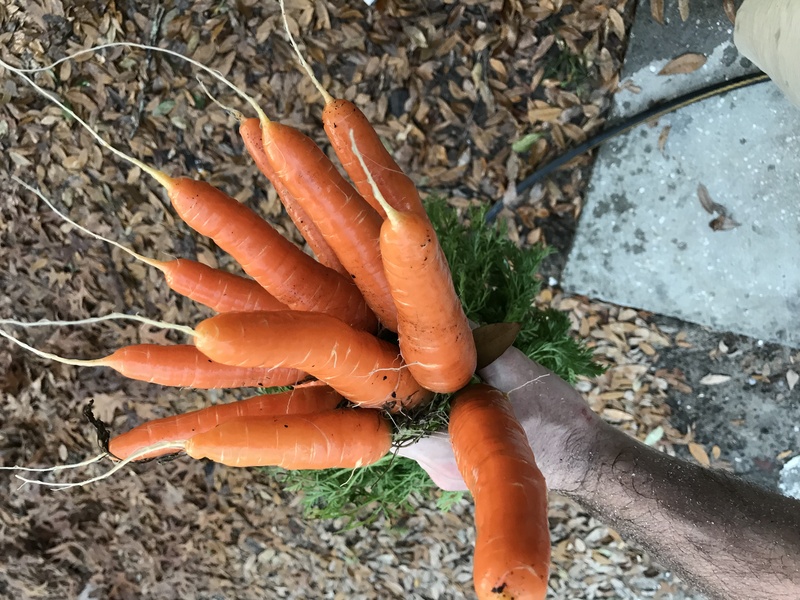 Though carrot season in Florida is just ending (my final batch was harvested yesterday), it’s the perfect time to learn about growing carrots here and plan to get some in the ground this fall! There are a number of reasons to grow and eat carrots. They’re obviously very healthy, though I dispute the whole eat carrots and you’ll have great eyesight thing – apparently I acquired the taste for them too late to help. They go well in more dishes than they don’t. However, the real two reasons you should supplement your grocery store carrot purchases with home grown harvests are that they’re so easy to grow and that there are so many more options than the standard long, thin orange varieties adorning the produce aisle shelves. Though carrots are remarkable easy to grow, they do ask a couple of things of gardeners. 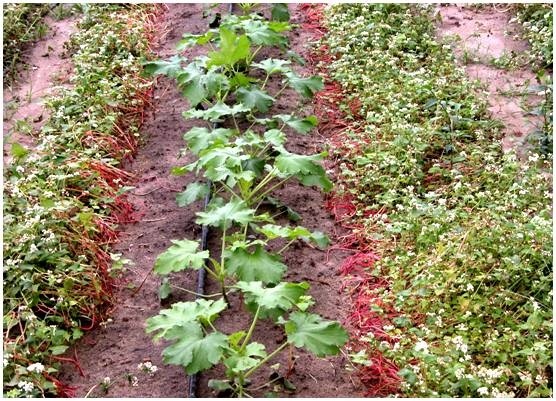 They are a cool season vegetable and are generally planted from seed beginning in late August through early September in the Panhandle, though successive plantings can continue through at least February if you want to extend your harvest. Also, like many other root vegetables, carrots don’t transplant well so direct seeding in the garden is a must. But before you even consider seeding, care must be taken to make sure the soil bed you’ll be seeding in has been properly prepared. One of the few ways to fail growing carrots is to not start with a loose soil free from any potential obstructions. If the development of the carrot root is disturbed by anything during the germination and growing process (this includes manure aggregates or other clumpy soil, sticks, rocks or even a hard layer of soil hiding under your loose compost), the end product will be deformed. To prevent this, thoroughly till your raised bed soil to at least 12” and break up any larger soil particles that are left with your hands. If you don’t get your soil bed perfect though, fear not, deformed carrots are definitely edible, they just won’t look like they’re supposed to and are more difficult to clean and process! 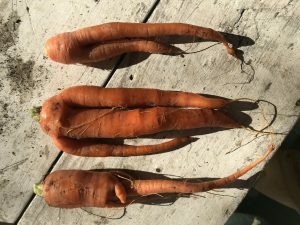 Deformed carrots due to clumpy compost! Once you’re ready to plant, I’ve found it easier on poor eyes and fumbling fingers like mine to sprinkle the tiny carrot seeds in shallowly furrowed rows 10”-12” apart and thin the seedlings later, rather than trying to individually space seeds the recommended 1”-3” apart. Finally, these colorful little veggies love water and require good fertility. To ensure good expansion of the edible root, maintain consistent moisture and fertilize at planting with a good slow release fertilizer. Additional fertilizer applications may be required later in the growing season as most carrots take around ten weeks to gain maturity. 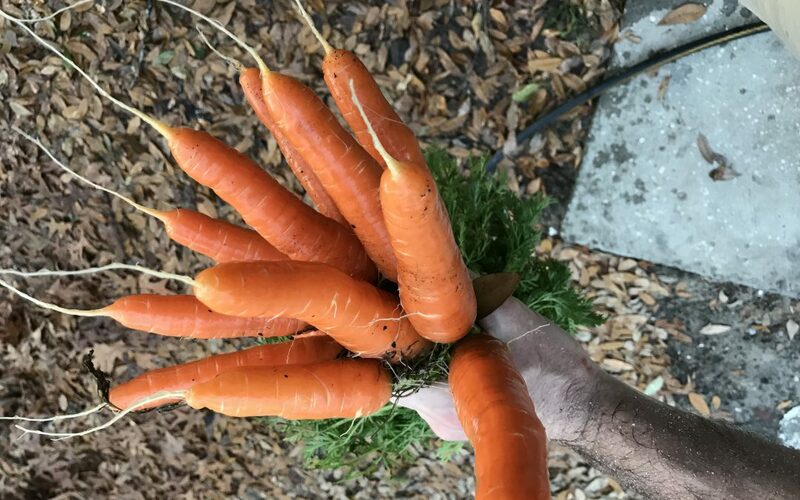 In this age of online catalogs, farmer’s markets, and demanding consumers who crave interesting food, the selection of carrot varieties available for gardeners to grow has never been better. Among the hundreds of individual cultivar options are several broad types of carrots you’ll need to choose from. You’re probably familiar with the Imperator types. These are the extra-long, durable carrots most often find in stores. If you have a deep raised bed or other large container, Imperator varieties can be extremely rewarding! I grew the Imperator-type ‘Sugarsnax’ this year and highly recommend it for ease of growing, size and flavor. Next up are the Nantes types. These carrots are medium length and cylindrically shaped. Sometimes called “storage” carrots, these types tend to store well for long periods of time after harvest and retain their flavor well. I’ve tried a few over the last several years and can recommend ‘Bolero’ and ‘Napoli’ with confidence. There is even a carrot type for those of you with shallow raised beds (8” or less) that can’t accommodate the previously listed types! Chantenay type carrots are excellent performers in these situations as they are generally a bit shorter and possess a conical shape with roots wider at the top and tapering to the tip, making a deep soil bed a bit less critical. Finally, there are even some excellent cultivars of carrots in colors other than orange! 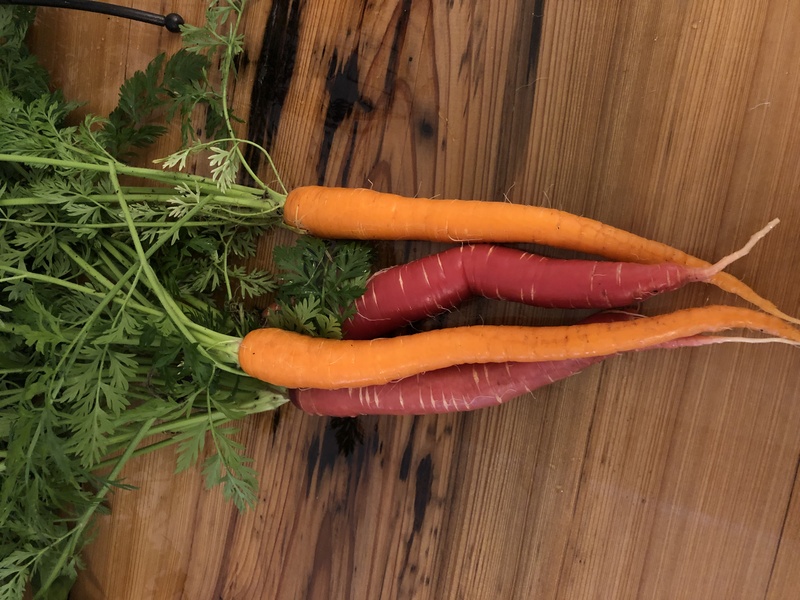 That’s right, you can grow white, purple, yellow, and even red carrots! I’ve done very well with ‘Purple Haze’ (purple with orange interior), ‘White Satin’ (creamy white color), and ‘Malbec’ (deep, rich red) and highly recommend all three. Keep in mind that the red and purple carrots tend to lose their color when cooked, so the greatest effect is seen when eaten fresh. All of these cultivars can be found at nearly any of the numerous online and catalog seed retainers such as Johnny’s Selected Seeds, Baker Creek Heirloom Seeds, Burpee, and others. 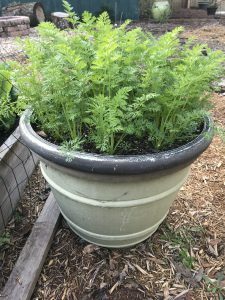 As you can see, carrots are an easy to grow, extremely rewarding vegetable for the home gardener; give some a try in your raised beds next fall! 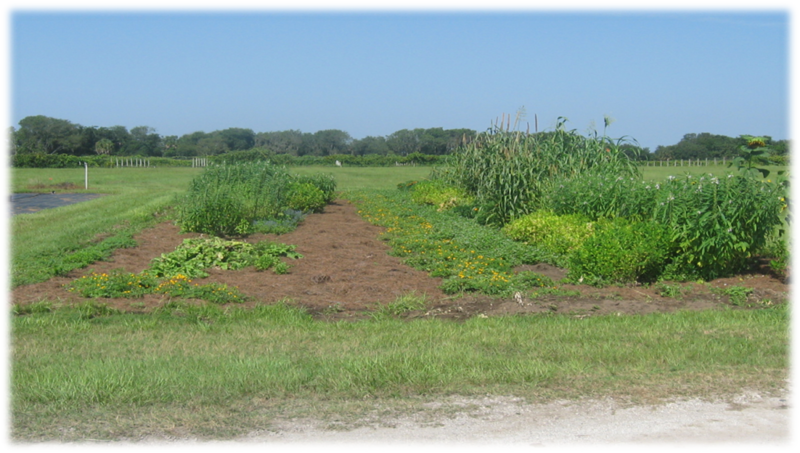 And as always, if you have any questions about growing carrots or any other gardening related question, contact your local UF/IFAS Extension office! Are you a patient gardener? If not, try you hand at growing microgreens. Why wait for at least a month or so for a harvest when you can enjoy fresh greens in as little as 7 days. Microgreens are the tender seedlings of your favorite vegetable or herb. They are grown in containers or flats and harvested when the first seed leaves are fully emerged. You may also wait until you see the first true leaf. 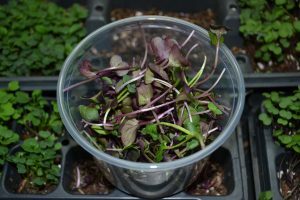 Unlike sprouts, microgreens require light and are cut when harvesting to only include the stem and leaves. Depending on the seeds you start, you may enjoy mild or spicy greens, or refreshing lemony flavors of a young herb. 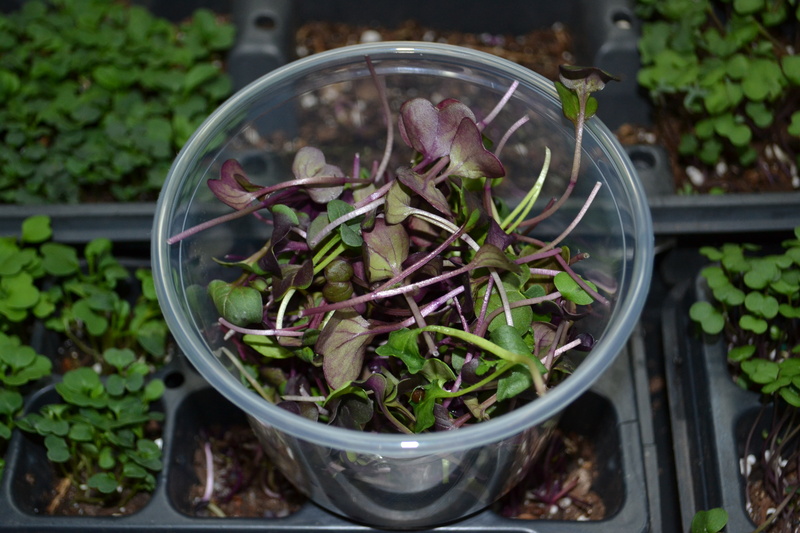 Microgreens can offer beautiful colors for your dish. Photo by Beth Bolles, UF IFAS Extension Escambia County. 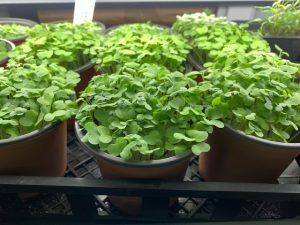 Here are the basic steps to get started growing microgreens. Get a commercial tray or recycled container and sterilize it in a 10% bleach solution. Make sure your recycled containers have drainage holes. Choose a good seed starting potting mix that is more fine textured. Many seeds you will start are small and a mix with a lot of bark may affect seedling germination. Add one to 1.5 inches of the soil in your container. You don’t need more depth of soil since you will be harvesting in a week to 20 days. Decide which types of greens you like. Consider arugula, radish, mizuna, or mustard for some spice. Swiss chard and purple cabbage will give you color, while collards, broccoli, and kale will offer mild flavors. Don’t forget about herbs like dill, cilantro, or basil for good flavors too. 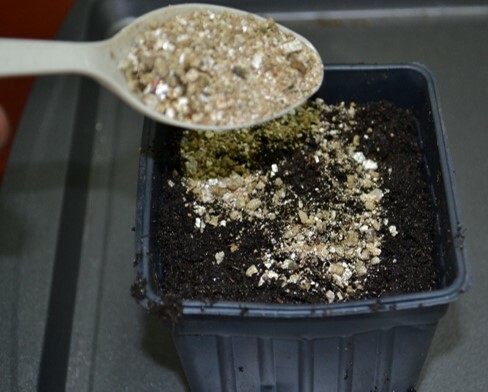 Once you have chosen your seed, beginners should seed one selection per container. 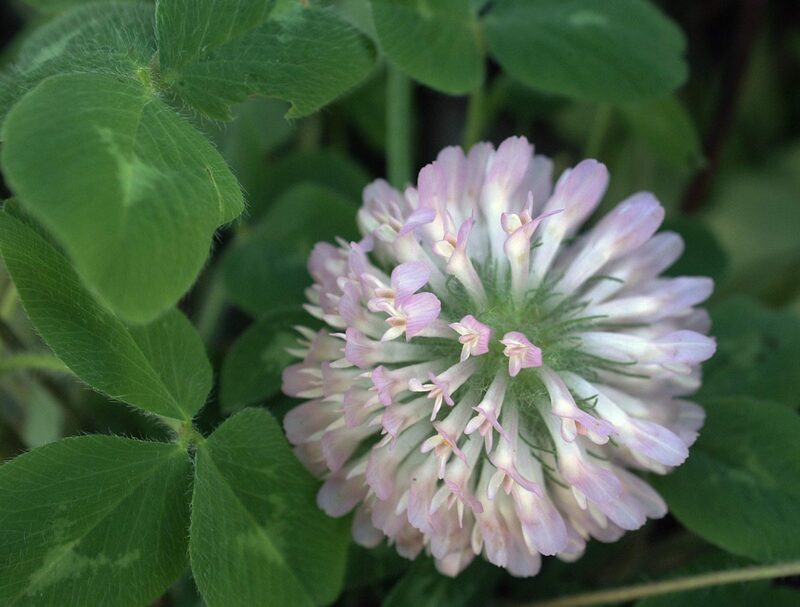 As you learn the growth rate of your favorite selection, you may can combine different varieties in a flat. Make sure your soil is moistened (but not soaking) and spread seed on top of the soil. You will be adding about 12 seeds per square inch of soil for small seeds and about 7 seeds per square inch for larger seeds. Sprinkle vermiculite over the seeds and then use a spray bottle or nozzle mister to moisten the vermiculite. Place containers in a greenhouse, window sill, or indoor growing tray. As soon as the seeds germinate, make sure they are receiving bright light. 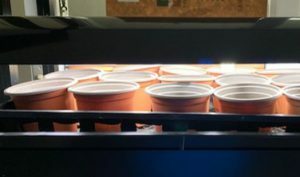 If growing indoors, the fluorescent or plant lights need to be a few inches above seedlings. Move the lights higher as your seedlings grow. 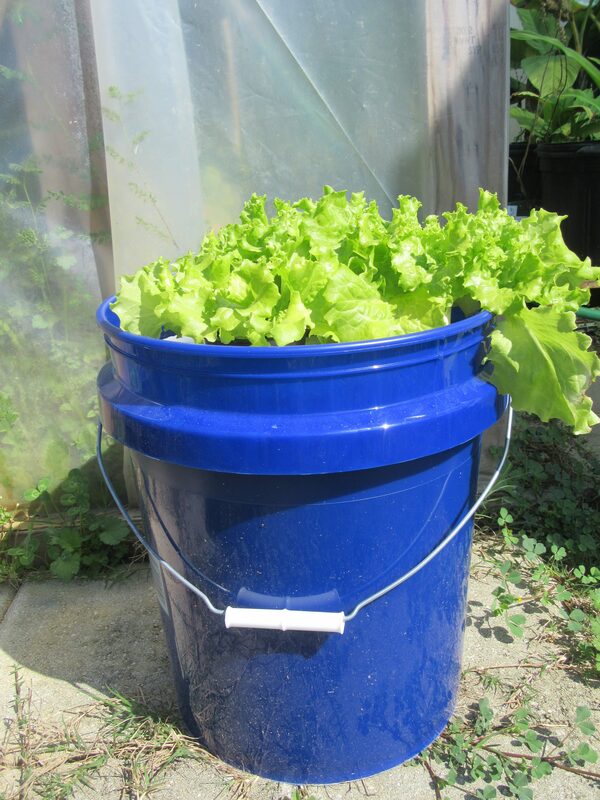 It is also best to water from the bottom to prevent disease issues. If this is not possible, carefully water seedlings so not to injure delicate plants. Radish and kale will be ready for harvest in about 7 days. Swiss chard, basils, and cilantro may take 20 days. Use clean scissors to cut stems, careful not to pull up any soil. Remaining soil and roots can be composted. When you are ready to use in a salad, sandwich or in juicing, place microgreens in a bowl of water to wash. Let them air dry on a paper towel. The good news about growing microgreens, is if you find they are not to your liking or too much trouble, you it has only been a couple of weeks of effort. The “new” or “Irish” potato is one of America’s most popular vegetables and a fine cool season crop choice for gardeners in the Panhandle. The history of the potato is quite interesting. The potato was first domesticated in Peru between 3000 BC-2000 BC. Potatoes were first planted, where in states? Idaho, of course, as early as the 1830’s. By 1900, Idaho’s production exceeded one million bushels. Potatoes are diverse in appearance and uses. Potatoes are high in nutrition and have fewer calories than other starches such as rice, pasta and bread. 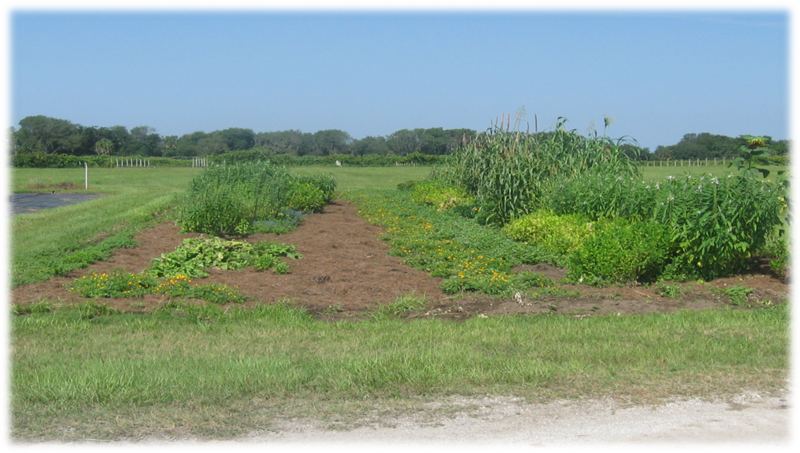 In Florida, potatoes can be planted in the winter or early spring. February 1st to March 10th is the prime planting range. As a general production rule, 100 lbs. of seed potatoes will typically yield around ten bushels. Be sure to use only certified seed potatoes for best planting stock. These can be found at most garden centers. 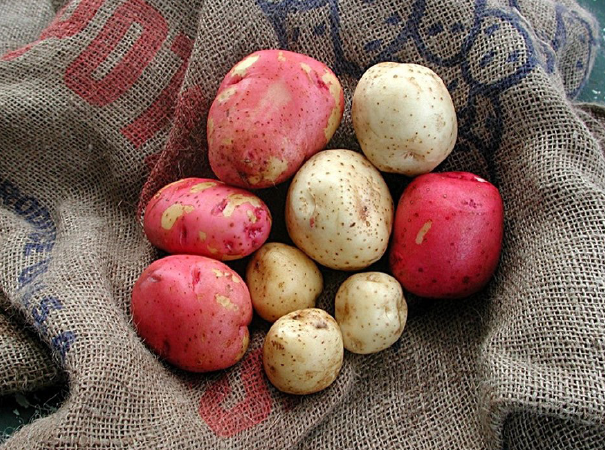 For best results, select varieties recommended for North Florida like ‘Atlantic’, ‘Sebago’, and ‘Superior’ (all round, white potatoes). Also, ‘Red Lasorda’ and ‘Red Pontiac’ are viable round, red potatoes. Resist using potato stock bought from produce sections at grocery stores. Odds are, symptoms of a number of diseases will occur. For planting, each seed potato should be cut into smaller pieces, displaying two or more eyes. To prevent fungal pathogens, the most common culprit in potato production, use a light dusting of a fungicide to combating decay. Figure 1. Red and white potatoes grown in Florida. It’s best to plant seed potatoes in raised rows, where the height of the mound is 6 inches and the width is 1 to 2 feet. Row spacing should be at least 3 feet apart. The seed furrow should be 3-4 inches in depth, through the center of the row. Seed potatoes should be planted in 1 foot intervals. Cover, and water freshly planted rows. Fertilizing is key. One quart of 10-10-10 fertilizer for every 50 feet of row space is needed for the initial application. Through the season, for every 3 weeks, side dress the rows with a pound of 10-10-10 per 50 feet of row space. Following these steps will ensure a productive potato crop. For more information please contact your local county extension office.